Posted by Andrew Killick (Publishing Manager) in 4. Castle Distributed Books, Precious Treasure Clay Pot. 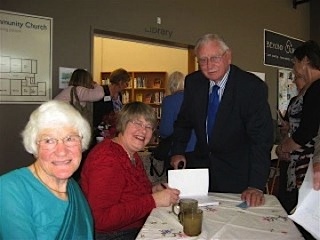 On Sunday 22 April, Florence Brown launched her new book at Calvin Community Church in Gore. The book is called Precious Treasure, Clay Pot and tells the story of her life as a missionary nurse in Nepal. Flo was assisted in the writing of the book by her friend Valmai Redhead and they brought the project to Castle for layout, design and printing. Just on 200 people turned up to the book launch, including Murray Dunn (former New Zealand Director of SIM) and other local mission reps. A local Nepali family came dressed in national attire and brought a greeting. 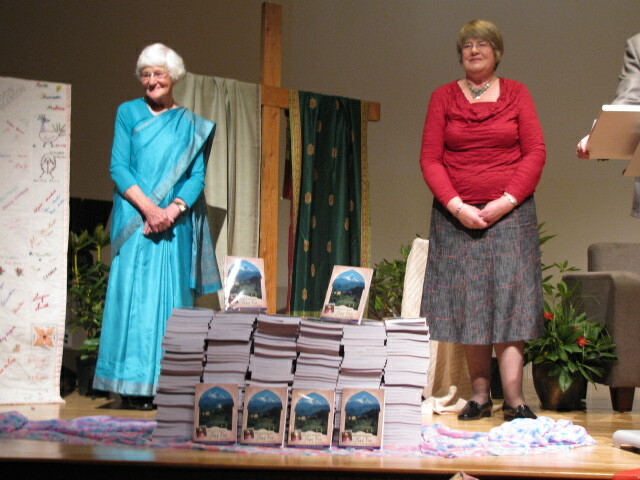 After Flo and Valmai spoke about the long but rewarding process of compiling the book, they unveiled the books which had been covered by a Nepali sari for most of the ceremony. Precious Treasure, Clay Pot is an excellent book and a credit to Flo and Valmai. Castle has continued its involvement with the project by acting as a distributor. Copies of the book are available direct from Castle, or ask for it at your local Christian bookshop.